The time has come in your quest to upgrade your mountain bike by finding the perfect saddle. While choosing a new saddle can be challenging, in the end it will be worth it. A saddle with the right fit provides higher levels of comfort. As a matter of fact, this level of comfort allows for a better ride due to letting you ride faster and for longer periods of time. If your current saddle is uncomfortable, you should begin looking for a new one as soon as possible. In addition to comfort being a key factor, understanding the purpose and function of a saddle is also crucial to making an informed decision. The saddle plays an important role in the overall mountain bike and its primary functions include: taking most of your weight on the bike, placing your body over the pedals, and allowing you to control your bike. Since the saddle is your main contact point between you and your bike, it is ideal for this to fit properly so you can ride more efficiently. With this in mind, let’s take a look at the major components of a saddle. The two most important parts of a saddle are the pads and the nose. The pads are where most of your weight will rest when you are back to sitting and are located in the rearmost portion of the saddle. The nose is located at the front of the saddle and enables the rider’s thighs to have lateral control over the bike. The nose can cause discomfort if it is not properly adjusted. Manufacturers produce several different options due to one underlying factor, bodies of riders are different. When you are sitting on a seat, your weight rests on a pair of bones in your pelvis called ischial tuberosity, better known as the sit bones. What one rider finds in a saddle to be uncomfortable and ill-fitting, another could find that saddle a perfect match. Riders not only need to find a saddle to be a right fit to their body and comfort, they need to find one that will suit their riding style. Saddles designed for fast races will be torture in longer events. Wider saddles will create more interference the faster you go. Basically, faster riders will need to have a saddle that is narrow and will shift your weight to your hands and feet which will reduce most of the weight on the saddle. Wider saddles will cause friction or chafing if you find yourself pedaling at a faster rate. Wider seats are best used for casual riders as most of the weight will be placed on the seat. 1. Road: Saddles for road riding will be long, narrow, and have minimal padding. 2. 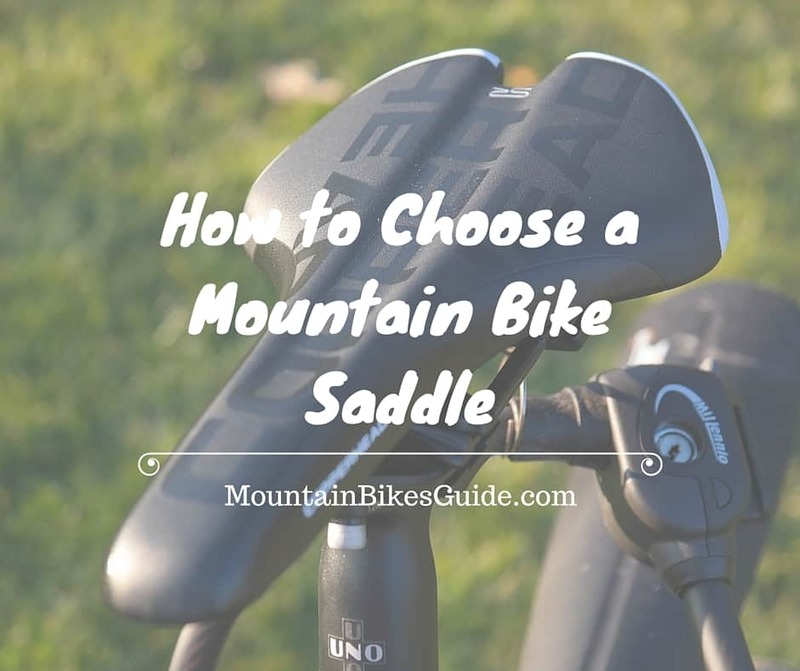 Mountain: The various positions a rider finds themselves in on the trail, a mountain specific saddle will cater to their needs by having more padding, durable cover, and a streamlined shape to help your movements. 3. Women’s: The female figure tends to have a wider pelvic and hip areas as well as having a smaller body overall. Women riders will benefit the most from choosing a women’s specific saddle which accommodates the differences in anatomy. All things considered, the following specifications can help you narrow down your choices when you are looking for a saddle. Saddles have a cover which will provide padding. 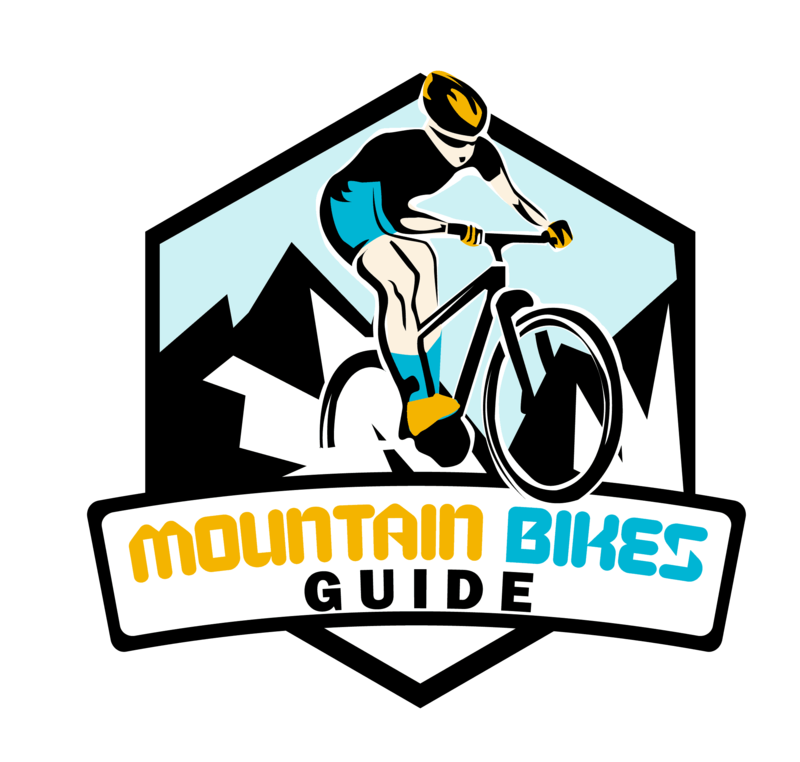 Today most mountain bike saddles are made with synthetic materials such as vinyl, closed cell foam, a lycra/gel/fabric combination, and real or fake leather. Covers will give the saddle more durability. Saddles are likely to suffer from a crash, so having a hard wearing cover is necessary. It is important to ensure things such as seams, sticky bits, or panels do not cause chafing. The shape of the saddle is determined by the shell. Shells are commonly made from nylon, molded plastic, carbon fiber, and even leather. Leather is considered to be the most comfortable as it will conform to the shape of the rider over time. However, it is less weather resistant and comes with a higher price tag. It is not uncommon for some saddles to have a slit or cutout in the middle. This is designed to reduce the amount of heat and pressure around the sensitive veins and nerves. Saddles featuring grooves or cutouts provide more comfort than others, but this is subjective to the individual rider. Cushioning or padding will vary from saddle to saddle. Padding provides comfort to your ‘sit bones’ and there are several different types of padding. The different types of padding are gel and foam. Gel padding will mold to your body and gives the rider a plushier comfort. Although it is plushier, it has a downfall of becoming more compacted quicker than foam. Foam padding will spring back to shape while giving the riders a pliable feel. Foam provides more support while still providing comfort. In addition to padding already built into the saddle, there is a separate saddle pad that you can purchase for extra padding. It will make you saddle extra plush and comfortable but can have tendencies to migrate in areas you do not want or need it. The rails connect the bike and the saddle from the underside. There are usually two parallel rails that can be adjusted at the nose or the rear. Rails can be made from steel, titanium, magnesium, carbon fiber, or aluminum and they can be hollow or solid. Components for suspension include springs or elastomers that are built into some saddles and are used to absorb vibrations and shock. There are always little extra details that saddles can offer. Little touches placed onto a saddle could be anything from Kevlar-reinforced corners, plastic bumpers, to saddle packs or built in mounts for tail lights. Manufacturers want to give you the most out of your saddle and adding extra details is how they can do so. All in all, finding the perfect saddle can be done if you narrow down your choices by determining your riding style and saddle type. Remember, comfort is key and the right fit will ensure you have the better, faster rides.